Op-Ed: Sony Has More Than A Fortnite Problem – Ouch That Hertz! Last week at E3, it was officially announced after several leaks and rumors that Fortnite was coming to the Nintendo Switch. Once it was released on the Nintendo eShop, gamers who had previously played on the Playstation 4 and linked their PSN account to their Epic account quickly realized the account was locked out from playing on the newest Nintendo console. This has become a disturbing trend with Sony as previous instances of them closing off cross-platform play has included Minecraft and Rocket League. 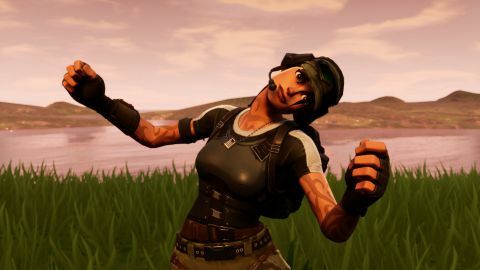 Neither of those instances made as many ripples as Fortnite due to the nature of the Battle Pass being tied to the Epic account. There has been a quick and relentless backlash against Sony, including their stock dropping in the days after the initial firestorm due to this. This is just not a Fortnite problem for Sony- this is just another strand in a long string of problems that has become apparent this console generation. The biggest issue here is communication. At no point in time did Sony warn the Playstation community that linking their PSN account with their Epic account would lock them out of signing into Fortnite on the other consoles. Would this have nipped the backlash in the bud before it even started? Probably not, but it would have made it much smaller and not something that is still being fiercely talked about over a week later. Of course, in typical Sony fashion, they made it so much worst on themselves. They released a statement that not only did not apologize to the community, but also shirked responsibility and acceptance of blame in a verbose format of moot prose. For a company as large and as prominent as Sony, the carefully-curated PR statement tactic of “saying something by not saying anything” may be wise to them. To the general public, it just further fans the flames of fury. Sony’s reprehensibly weak response to cross-play controversy. Then there is the issue of just how out of touch and aloof Sony is. This was best highlighted by their E3 press conference. Someone at Sony thought it would be a great idea to not only have two different venues for the press conference, to not only change venues after one reveal, but to also have an awkward intermission for the at-home audience. They could have just showed videos in that timeframe (they have been previously known to show nothing but videos), or better transitioned into the panel and kept the show moving smoother and at a better pace. Instead they did not, opting instead to waste time with not one, but two musical performances that were unneeded and not nearly as good as the orchestras of year’s past. Consider this while comparing it to Microsoft’s press conference, which by contrast was a healthy balance of games and speakers on stage. Microsoft connected to its base while also connecting with non-Xbox owners while Sony used the stage roughly two times and did not even have any spoken closing remarks. This leads to the last issue, first-place Sony is lazy. Microsoft is releasing new OS updates with new features on a regular basis and communicates with the community well about what to expect. Sony updates are uncommon and rarely includes prominent new features. Microsoft added backwards compatibility- a move that garnered them a ton of money and consistent PR wins from it. All the while, Sony released a statement saying the feature is not used as much, which Microsoft keeps disproving, but then tried to push its community to buy PS2 for PS4 games and their PS3 heavy streaming only service. Hell, it is probably as easy as a theoretical flip of a switch to enable cross-platform play and Epic accounts to not be locked out from the other consoles and yet here we are. It all boils down to Sony does not have to do anything it does not want to, as they have easily won this generation, even if it hurts relations with its base and causes several firestorms.